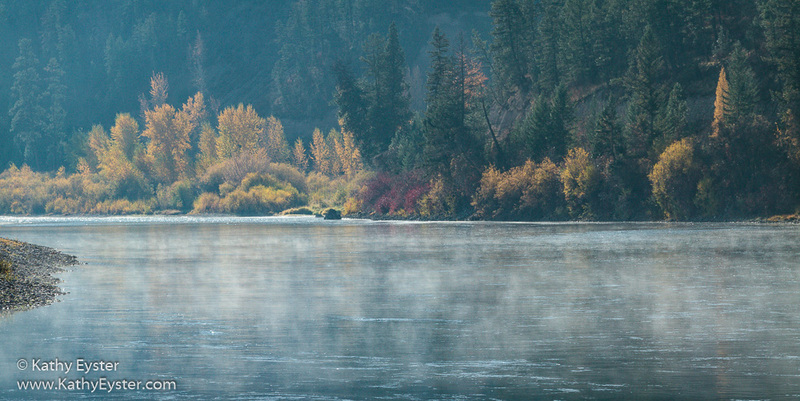 As the air temperature cools in the fall, mist and fog frequently rise from warmer water. Including these atmospheric effects can enhance your autumn color pictures. You need to be up early, though, for the best chance of seeing the mist or fog while the air is still calm and the sun has not burned off the effect. Learn more about how the weather can add to your autumn images in Photographing Fall Colors beginning October 11, 2018, in Missoula, Montana. Click here to register.